Urban Appalachia has a long, proud tradition of speaking truth to power and combating the backward politics of charlatans. The wildcat strikes of education workers have spread from West Virginia to Kentucky and onward. Protesters are always told their actions are improper, inconvenient, and not the right time and place. It’s a popular refrain that Appalachian people have heard from coal and energy companies, from politicians, and from people keen on privatizing public education while paying teachers poverty wages. It’s not something we’re used to hearing from scholars of Appalachian studies. Yet that’s exactly what happened in the wake of protests at the Appalachian Studies Association (ASA) conference. The conference, hosted by the Urban Appalachian Community Coalition, was held this April in Cincinnati, where I lived for many years in the neighborhoods of Over the Rhine and Lower Price Hill, both centers of urban Appalachian community. The final morning of the ASA’s conference, conservative media darling J.D. Vance, author of Hillbilly Elegy, was a panelist at a roundtable on the opioid crisis. Since the memoir’s publication in 2016, educators, students, and activists have rebuked Vance’s brand of reactionary, culture-of-poverty politics and his flirtation with right-wing, neo-eugenicists like Charles Murray. In numerous journal articles, book reviews, and in historian Elizabeth Catte’s essential What You Are Getting Wrong About Appalachia, the dangerous ideas of Vance, a venture capitalist with no special expertise regarding opioids, addiction, or public health, have been taken to task. But these folks stand in a long, proud tradition of speaking truth to power and combating the backward politics of charlatans like Vance. 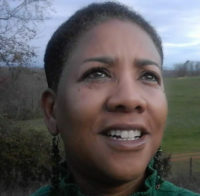 The Urban Appalachian Council, Virginia Coffey, the Rev. Maurice McCrackin, buddy gray, the Over-the-Rhine People’s Movement—these are just a few names in a long list of activists in the urban Appalachian neighborhoods of Cincinnati. They were a thorn in the side of the city’s politicians and business leaders—unapologetic, unruly, and part of a brilliant legacy of protest. As a young activist in Cincinnati, I encountered a radical cadre of urban Appalachians. I learned a lot from them: in fights for housing, to stop the closure of the Milner Hotel, against gentrification in Over the Rhine. We protested anywhere and everywhere. During the late 80s and early 90s, when I was a teenager, the Urban Appalachian Council (UAC) still thrived. Cincinnati was a principal destination for Appalachian migrants since the Second World War, and a large number settled in the neighborhoods of Lower Price Hill and Over the Rhine. Residents in these neighborhoods faced blighted housing conditions, poverty, aggressive policing, and discrimination. The UAC was born in 1974 to serve Cincinnati’s Appalachian population through cultural and social resources, research, and activism. The UAC’s newsletter, The Appalachian Advocate, publicized the Council’s work throughout the city’s Appalachian neighborhoods. Because Over the Rhine was an integrated neighborhood of poor Black and white residents, organizations like the UAC faced the issue of racism in the city head-on. One of the UAC’s Trustees was Virginia Coffey, a Civil Rights activist involved in the protests to desegregate the city’s swimming pools during the early 1950s. Branded a “red” after visiting the Highlander Center during the same weekend as Dr. Martin Luther King Jr, the Rev. Maurice McCrackin was arrested during the swimming pool protests with Coffey. For decades, “Mac” was the leading voice for poor people in Over the Rhine, and spent many nights in jail for his refusal to cooperate with injustice. I met him toward the end of his life, during the struggle to save the Milner Hotel, which provided housing for low-income people. 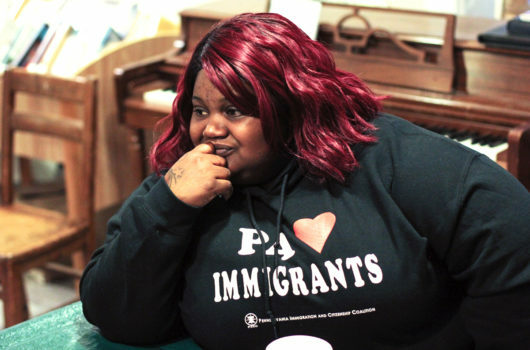 Just four years after the UAC’s founding, the Over the Rhine People’s Movement was launched with a daring takeover of an abandoned Teamsters union hall. Within a few years, the Over the Rhine People’s Movement would transform the hall into The Drop Inn Center, a shelter for people experiencing homelessness. The Movement’s indefatigable buddy gray, who the Cincinnati Enquirer described as having an “in-your-face, shout-them-down style,” turned the heat up on the city’s politicians at every turn and became another powerful voice for the people of Over the Rhine. Activists in places like Whitesburg, Kentucky, continue to organize and develop centers of Appalachian culture and history. Appalshop is just one example of what uniting history, training, and development looks like—when Appalachian people get to tell their own stories. And the struggle for justice in the mountains—for both people and the land—persists as tree-sitters protest the development of gas pipelines in the Appalachian region. Young Appalachian activists have been organizing against Nazis in places like Knoxville, Tennessee, and Pikeville, Kentucky. Black and queer Appalachians have been doing the work of fighting white supremacy. The wildcat strikes of education workers have spread from West Virginia to Kentucky and onward. I went to the Appalachian Studies Association conference this year for the people fighting for a better Appalachia—and a better world: author-activists like Catte, Crystal Wilkinson, and Barbara Ellen Smith. I went to discuss the history and future of Appalachian struggle. I did not go to hear recycled culture-of-poverty tropes and thinly veiled racism from the likes of Vance. His right-wing blame-the-victim politics is what we already hear in the mainstream media day in and day out. The decision to host Vance in urban Appalachia on a panel as serious as the opioid crisis was irresponsible, undermining the difficult intellectual and activist work that Appalachian people have been laboring on for decades. Vance’s presence transformed a matter of life and death—quite literally—into an exercise of intellectual pontification. There were activists in the room who refused to accept that dynamic. Certainly, the young people in attendance had clarifying thoughts and experiences that would have contributed to the discussion. Many of the scholars and activists in Y’ALL approach Appalachian history and politics from an intersectional vantage point; Appalachian people are not all white, we are also LGBTQ, and some of us live in urban areas. This approach will have profoundly positive effects on the world of Appalachian studies. But the ASA protest wasn’t just about shutting down a particular individual with bad ideas. Rather, it was about another vision for Appalachia, one based on the radical activism of the past, one that doesn’t accept the status quos of racism, sexism, and poverty or the venture capitalist savior narrative. I’m glad to see the tradition of organizing continue. The future of Appalachia—and of Appalachian studies—depends on it.